This new version adds new measure units for the guides, to the previous pixels and percent, cm, mm and inches are added. 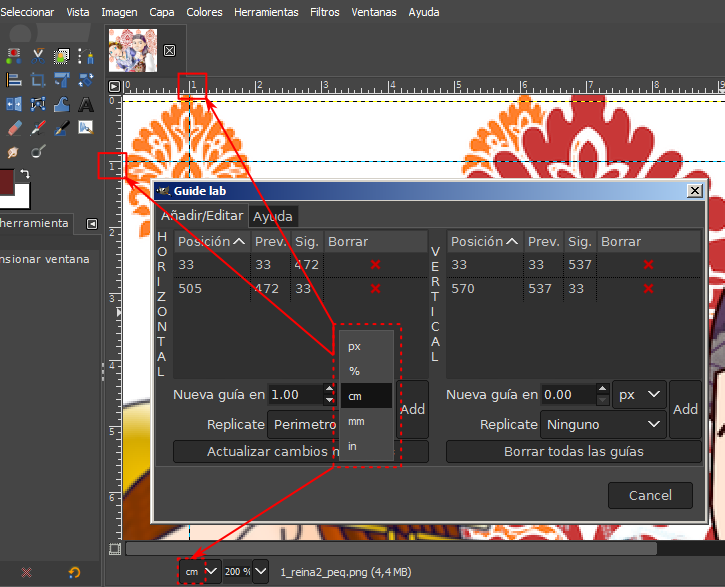 The new code avoid the bug in the Gimp 2.10.2 Windows version that do not import external files. This revision fixes a fail in the interface and adds the option to use negative values. The negative values add the guide in the oposite side (width or height – the selected value), for example for a image with 200px width, -20 adds the guide 180px from the beginin.